You know what's weird? 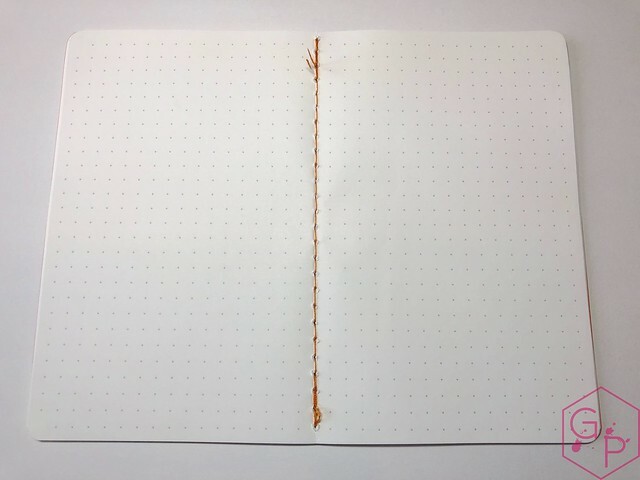 I have a thing for non-leather journal covers. I don't know why. 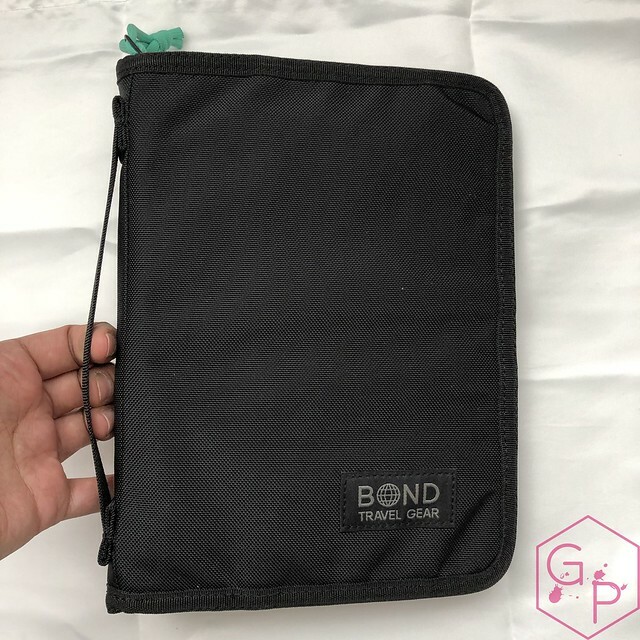 I also have a thing for pouches. 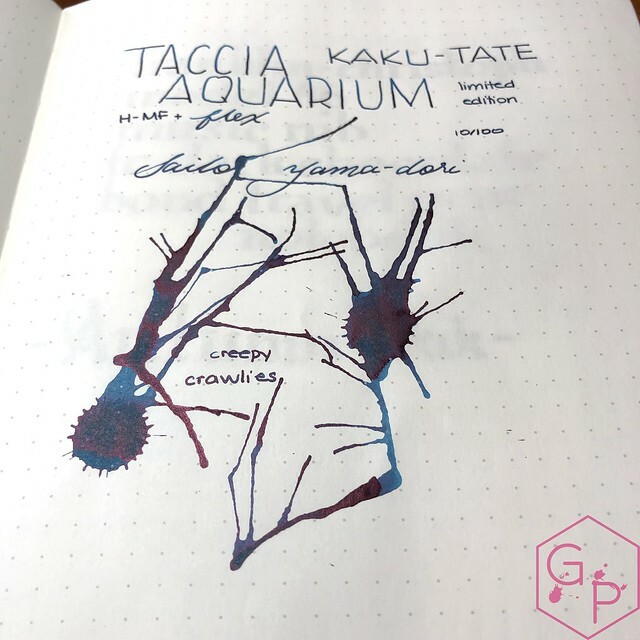 I also have a huge thing for Tomoe River paper, so it seems all four of the items I received to review are right up my alley. If you have not already, you can check out the "unboxing" and first impressions video. 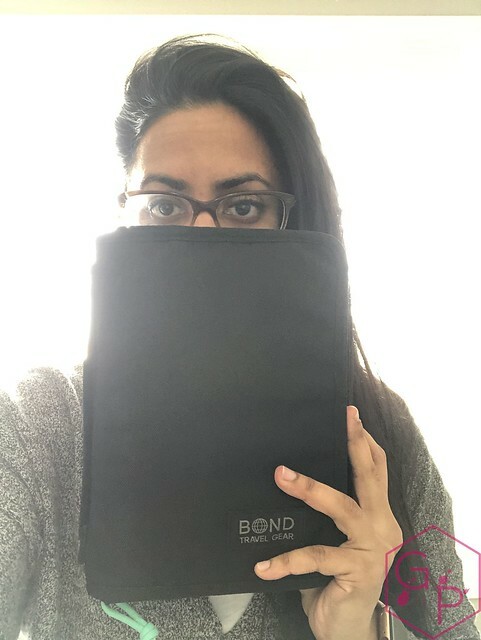 Otherwise, let's go on with the review! 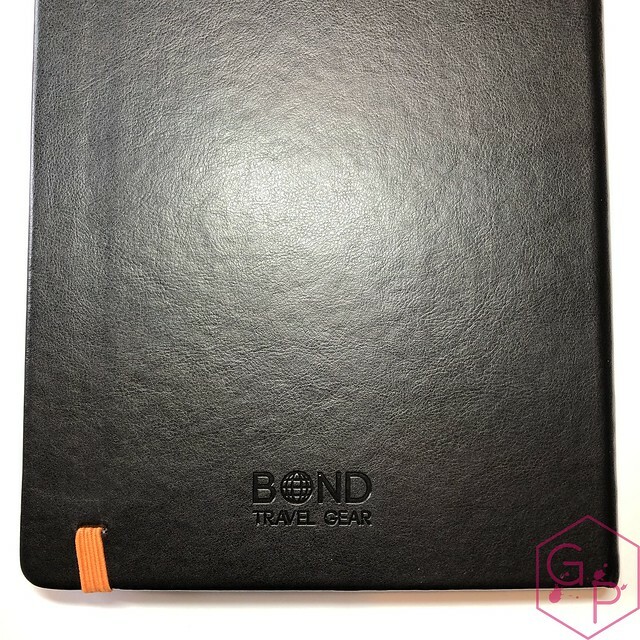 Tomoe River 68 gsm white paper: widely considered the best paper for fountain pens and inks of all kinds. Bleed & feather-proof. 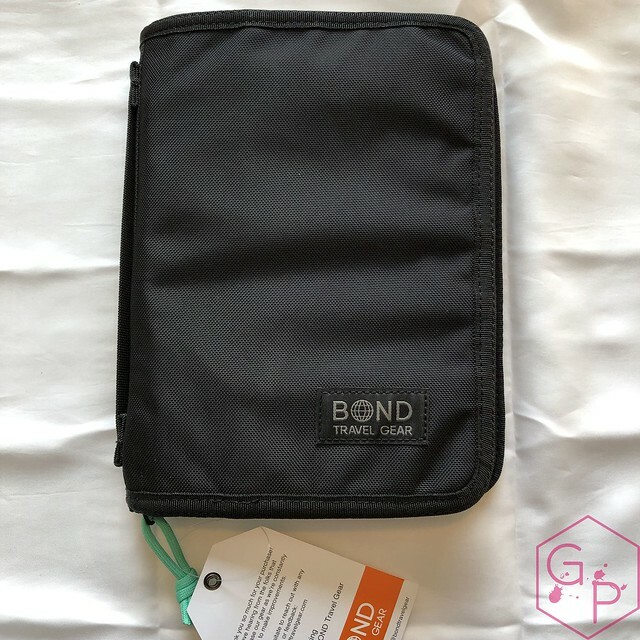 If you have seen the unboxing video, you'll know the Bond Travel Gear goodies were presented quite simply in a plastic bag. I like that there is minimal packaging but I would prefer if there was no plastic. Biodegradable something. Recycled paper sleeve. Anything would be better than plastic I'm just going to stick in the garbage. 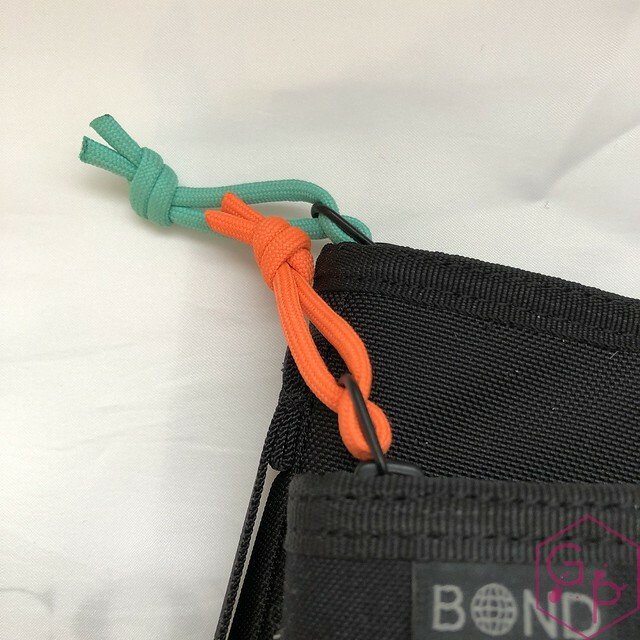 The wallet is small with a zippered closure and an orange paracord zipper pull. 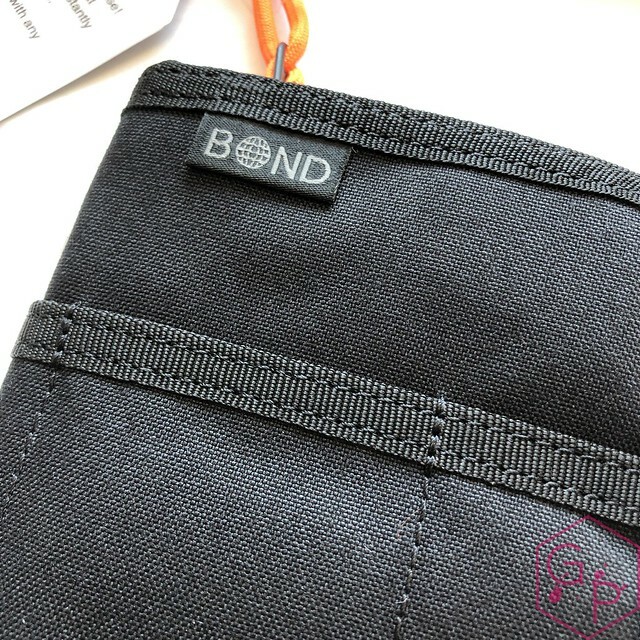 The Bond tag is affixed to the front and there is a snug pocket around the entire body. 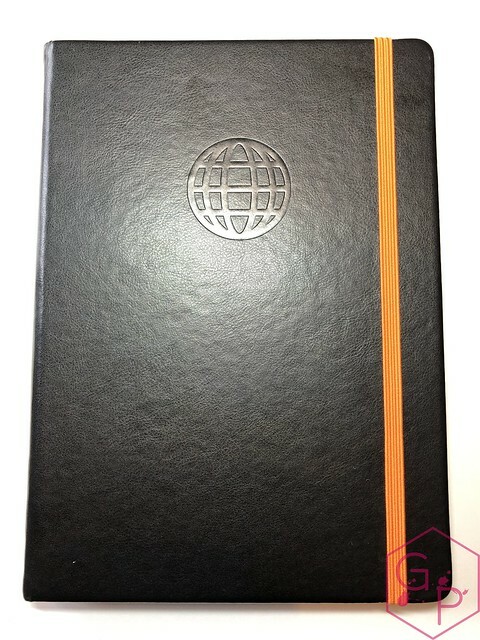 It has multiple compartments. The stitching is all black so it blends in nicely. 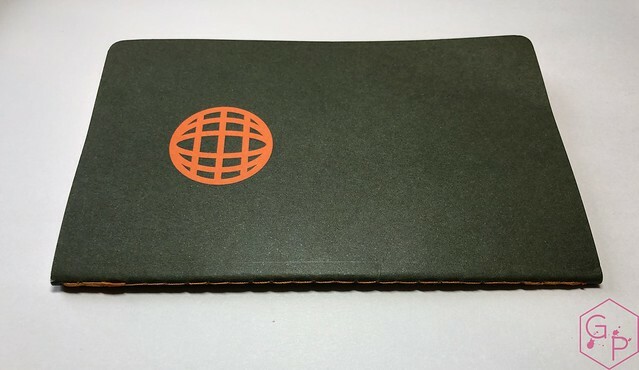 The inside has one green Tomoe River notebook, a mesh pocket, and features grey highlights. 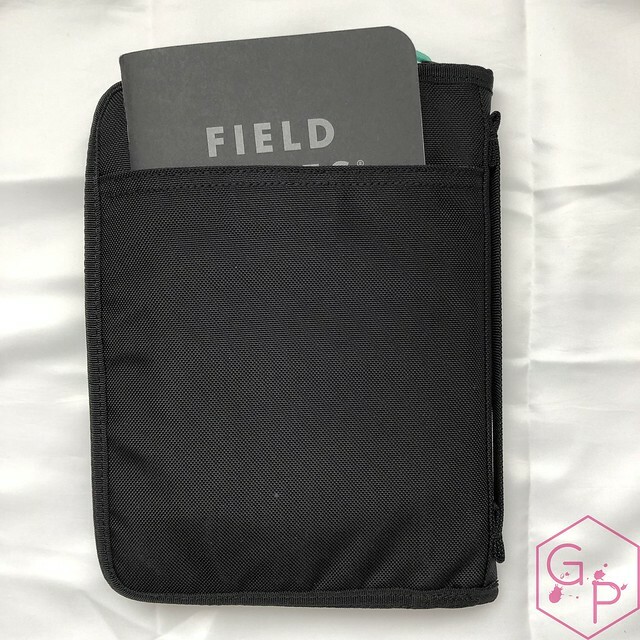 The Field Journal is black with a zipper closure and a seafoam paracord zipper pull. 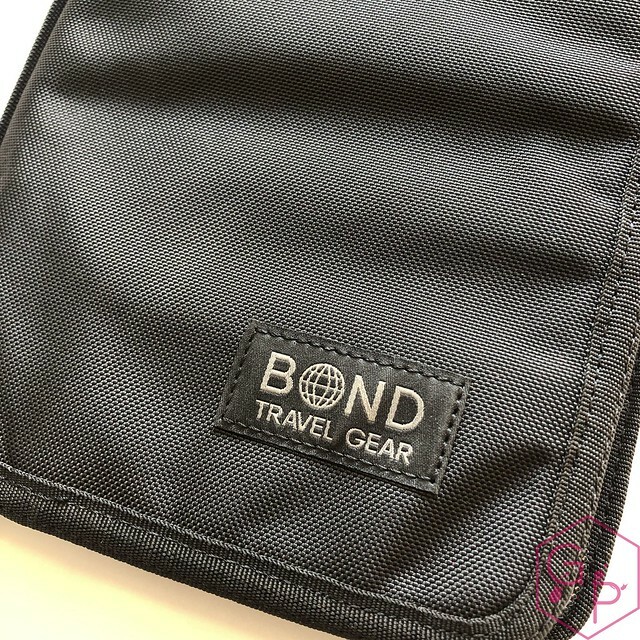 The Bond Travel Gear label is affixed to the bottom corner and there is a handle across the spine. 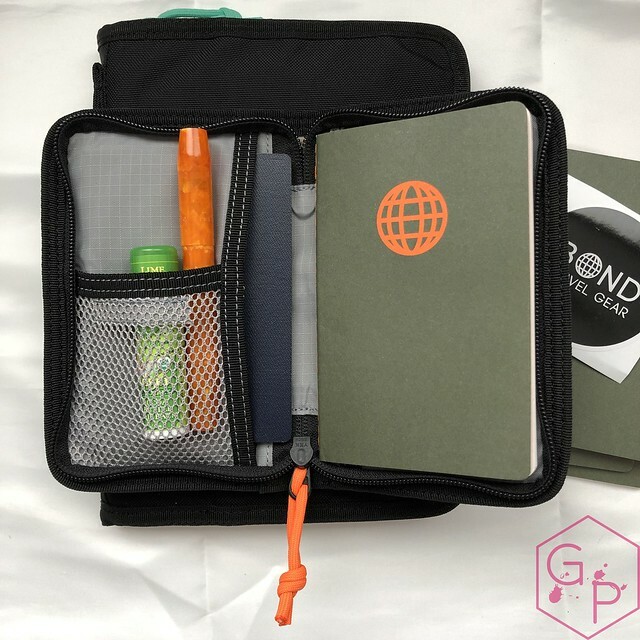 The inside is grey with multiple pockets, one mesh pocket, and two larger pockets for housing larger notebooks/items. I love the consistency of color between the two products. They look really good together. Both have a rugged, casual appearance. I don't need to talk about Tomoe River paper a whole lot. 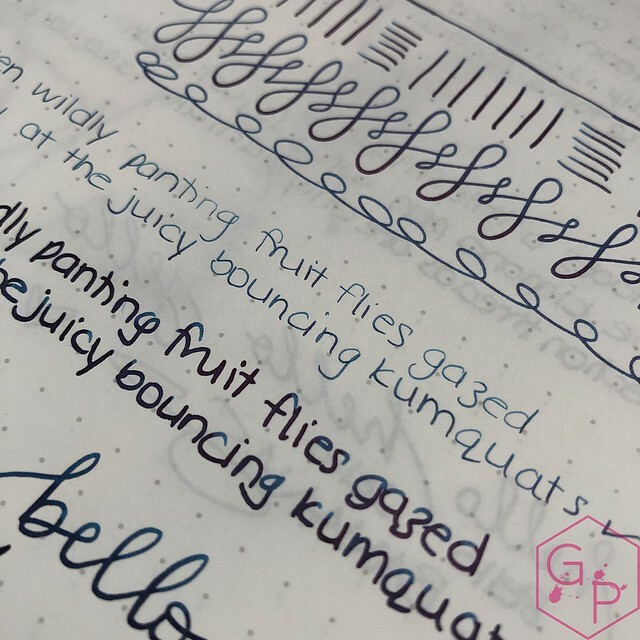 You know it's one of my favorite papers - not just for fountain pens (and please don't judge me), but also for ballpoint pens because I love the print through and the crinkling. 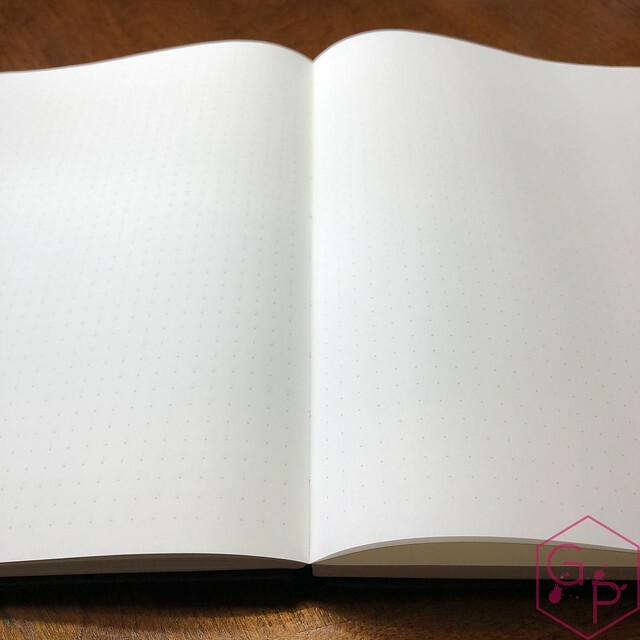 The notebooks are pretty great - the small ones have sewn bindings, which I love in a notebook, and the larger one is solid, lies flat, robust. I cannot complain, especially at these prices. 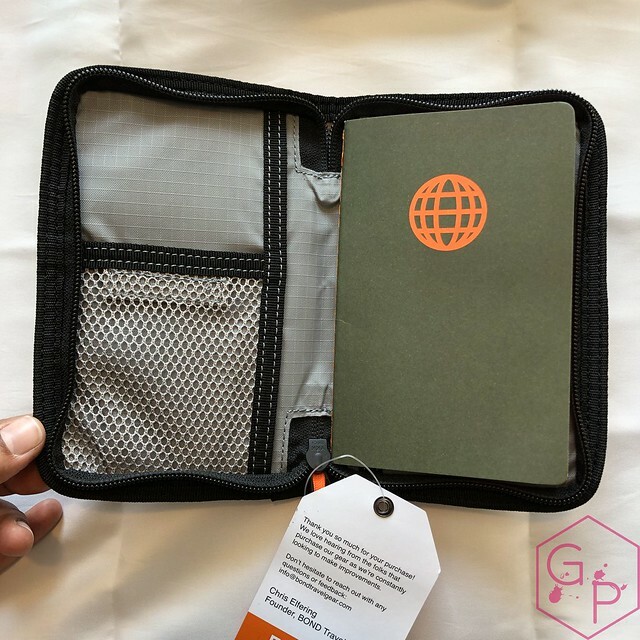 More importantly, the wallet and the field journal are truly cool. 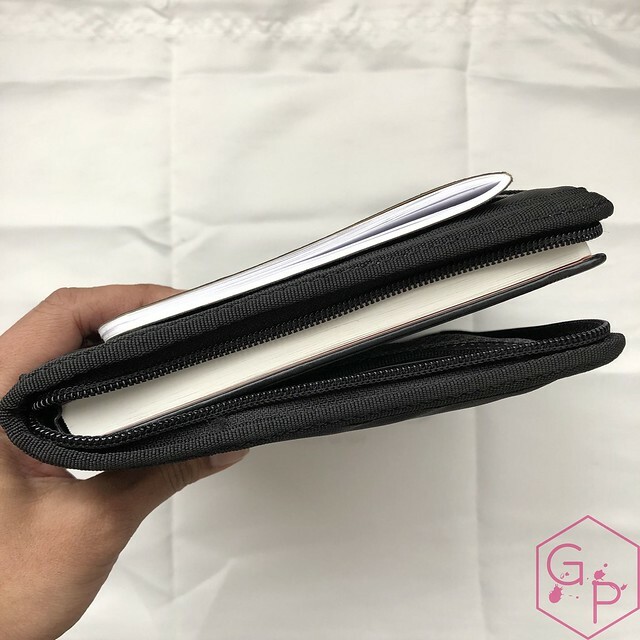 I love the build and quality, and how light they feel compared to a lot of my leather covers, which are just heavier by the material. The canvas is still robust. I threw them around for weeks and carried them roughly in my bags and they held up easily and without issue. The zippers are smooth unless the insides are stuffed. 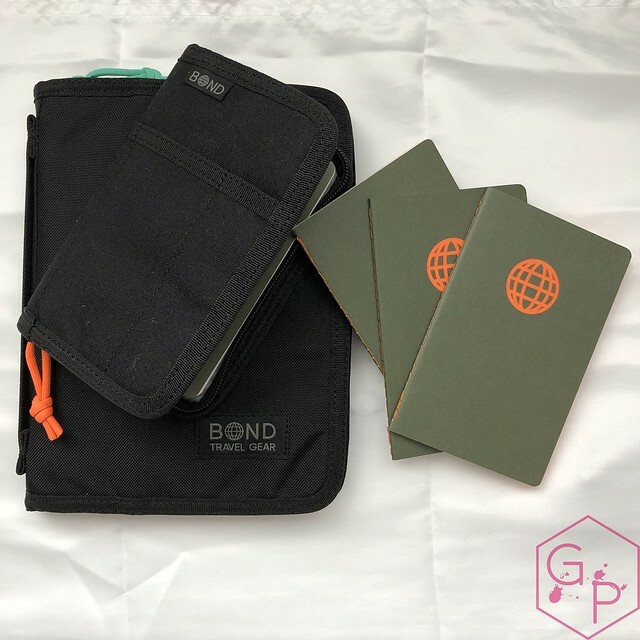 I think the limit of the wallet is three to four notebooks, or one notebook and miscellaneous items (pen, passport, cards). 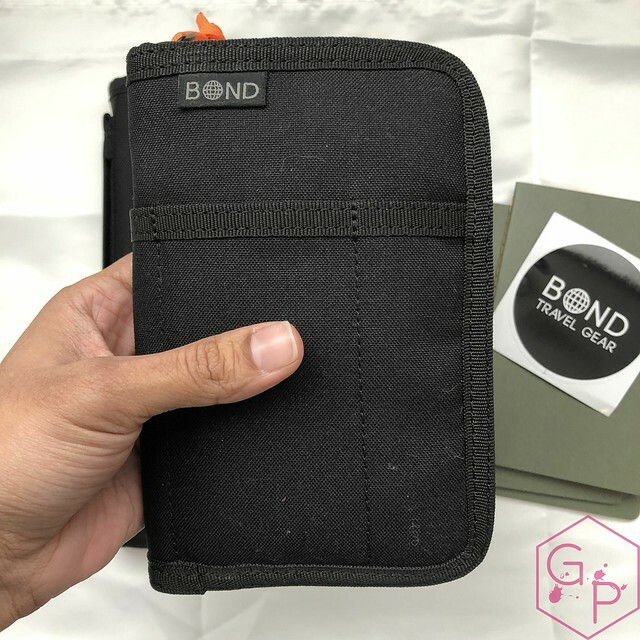 The Field Journal already houses a large hardcover Tomoe River journal but it still fits other goodies in there - cards, pen, blotting paper. It all has to be smaller tidbits, though. 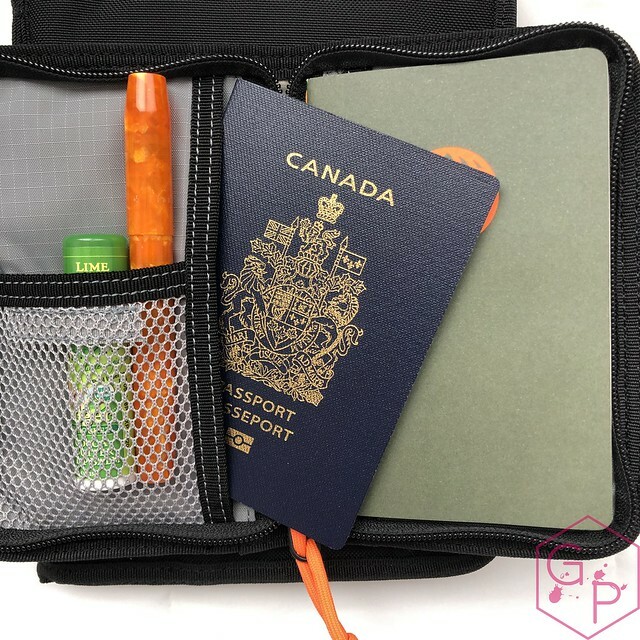 Neither case is expandable so you're working with the range of the zipper. I'm happy with them. 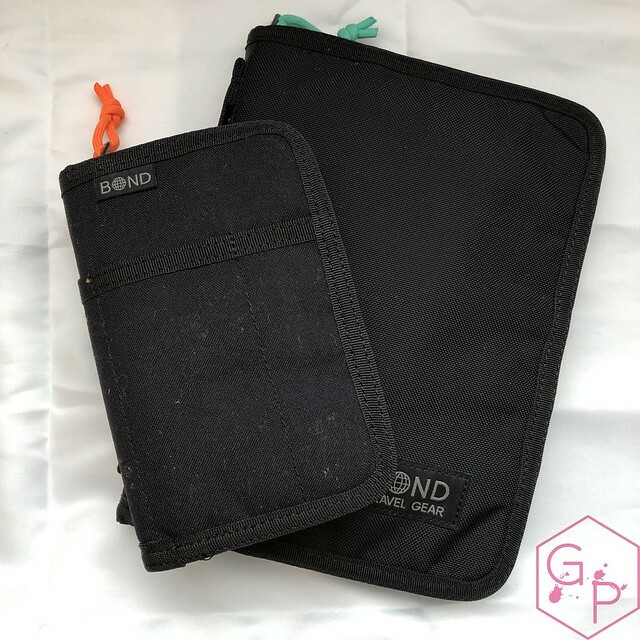 Both are somewhat flexible - they don't have firm covers so that works well if you like to stuff your cases in something else. 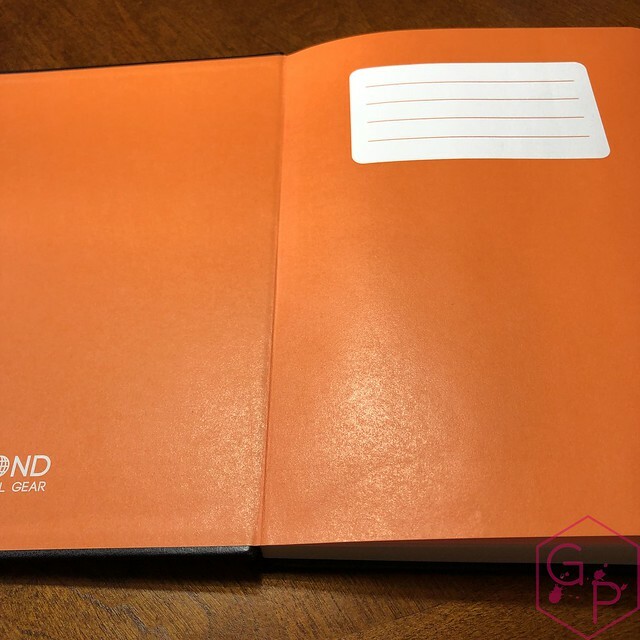 If you're looking for a hard surface to write on and secure items inside from being crushed, neither is a great option. I have mixed feelings about the pockets on the outside. 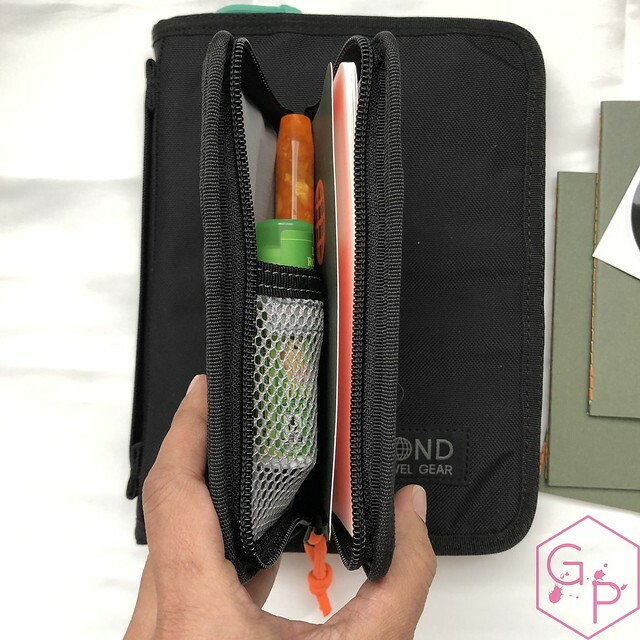 When the wallet/field journal is full, it's hard to stuff more things in the outer pockets, and the velcro is tight so it's hard to slip your hand into the pocket without scratching yourself on said velcro. Clean, consistent design and color scheme. Tomoe River! 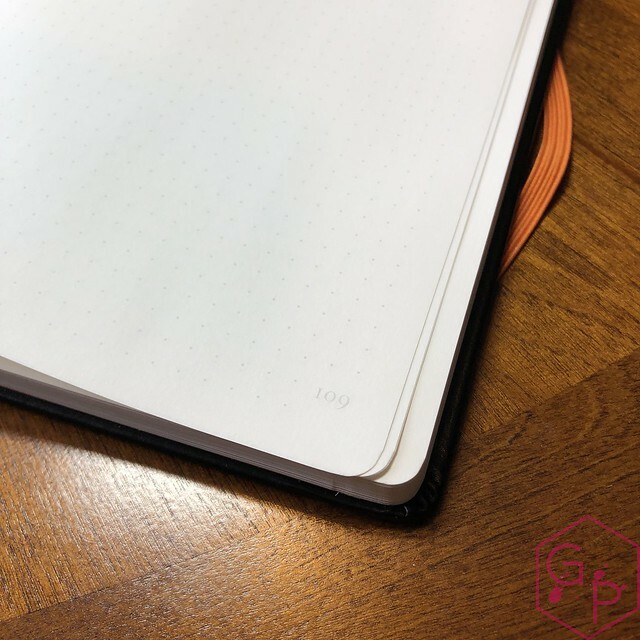 Great price on the notebooks, especially if you get them on the sale. You know how I feel about Tomoe River. 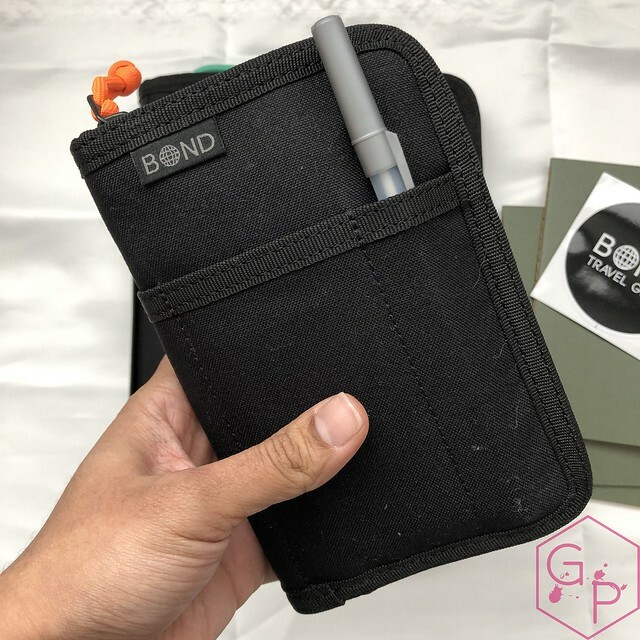 Super fountain pen friendly, awesome to write on, a pleasure to use, but can also be used with pencils, ballpoints, and other writing instruments if you like. Neither closes easily if they are "stuffed". I am quite pleased with both of these. 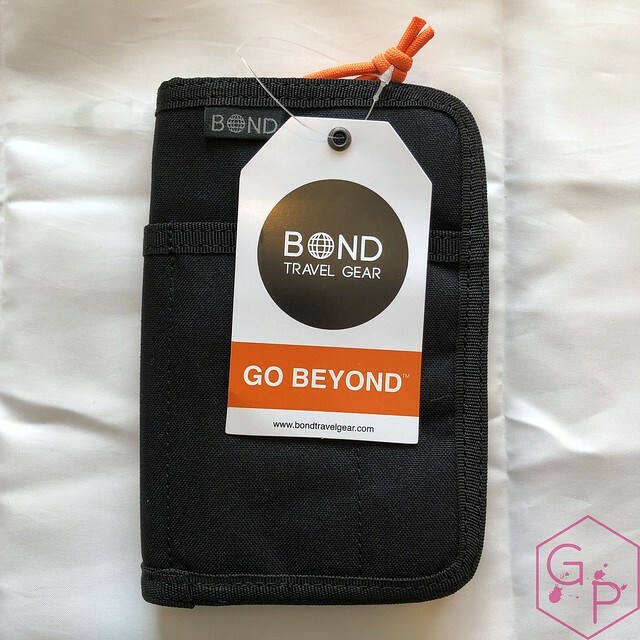 I have not tested the RFID capabilities - how would one do that anyway? 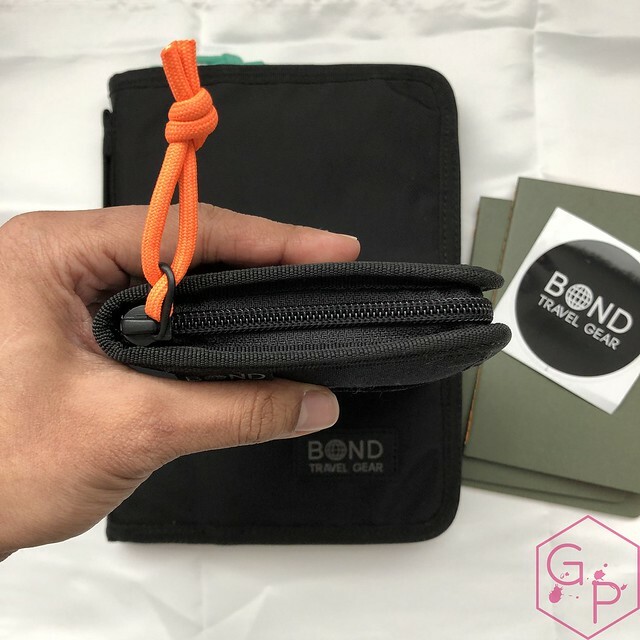 - and I have never really felt the need to have one but I guess it cannot hurt, especially as it does not add to the bulk of the wallet or anything. I like the casual look and feel of both pieces. I think the price is solid and fair, especially if you grab them on sale. The sale is fantastic. 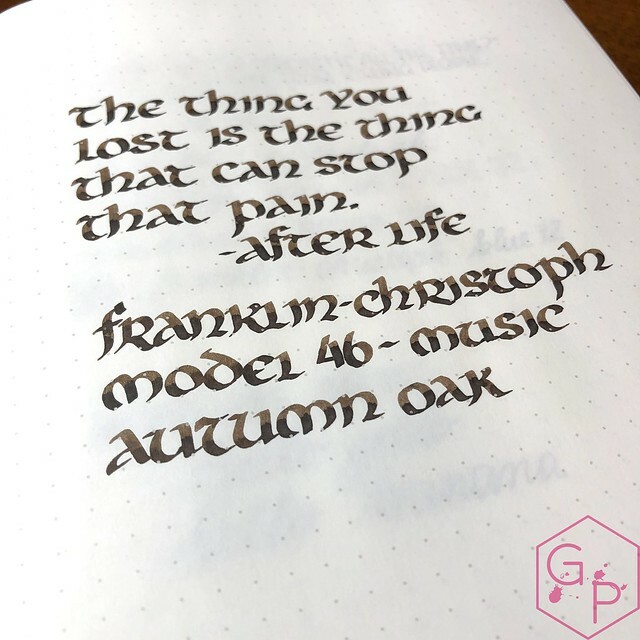 Tomoe River is my paper of choice so I fully support this choice. 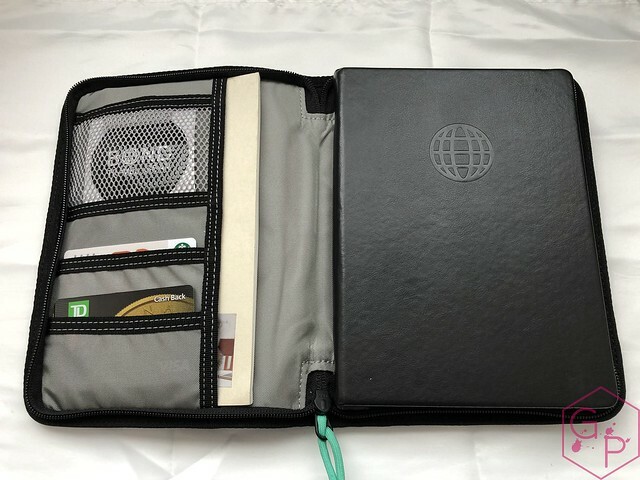 If you're looking for a wallet to carry a few slim profile items and a journal cover to house an A5 notebook and a few slim profile items, both are great. They don't have a whole lot of space to stuff them full of miscellaneous things to tote around, but they keep everything organized. Maybe that's better than having the ability to stuff them silly! 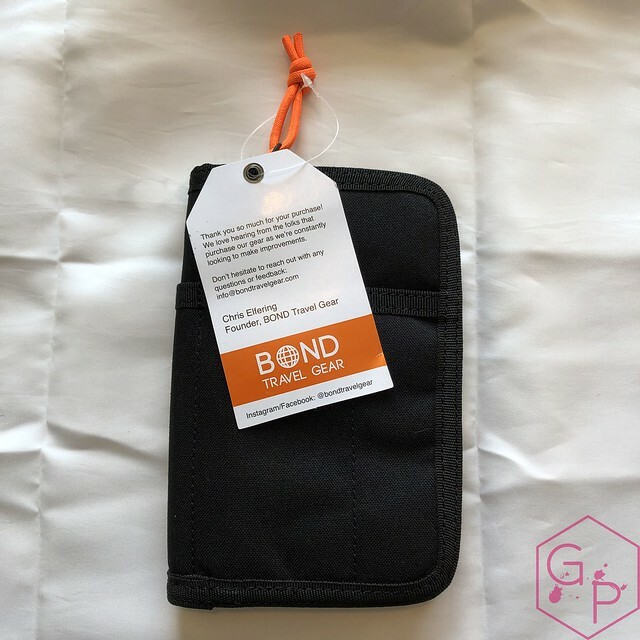 Thank you to Bond Travel Gear for sending these supplies for me to check out and share with you. This is a sponsored post but I will do my best to share an unbiased opinion with you. There are no affiliate links here.